Are Mothers in Medicine Messier? I suspect that I'm like most docs, when I say it takes alot to gross me out. And I wouldn't say that I'm messy, rather, I'm highly tolerant of messiness. But this week, I wondered if maybe my threshold for disgusting is a little too high. Like, maybe there are some things so yucky, anybody should freak out and drop everything to clean it up. 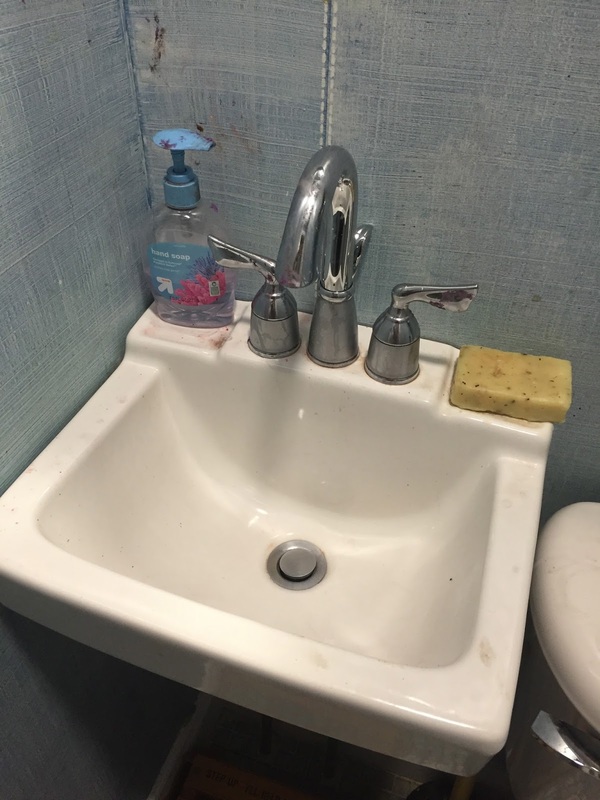 This is our downstairs bathroom. Last weekend, the kids and I baked and frosted sugar cookies. And, they also ate melty chocolate bars. 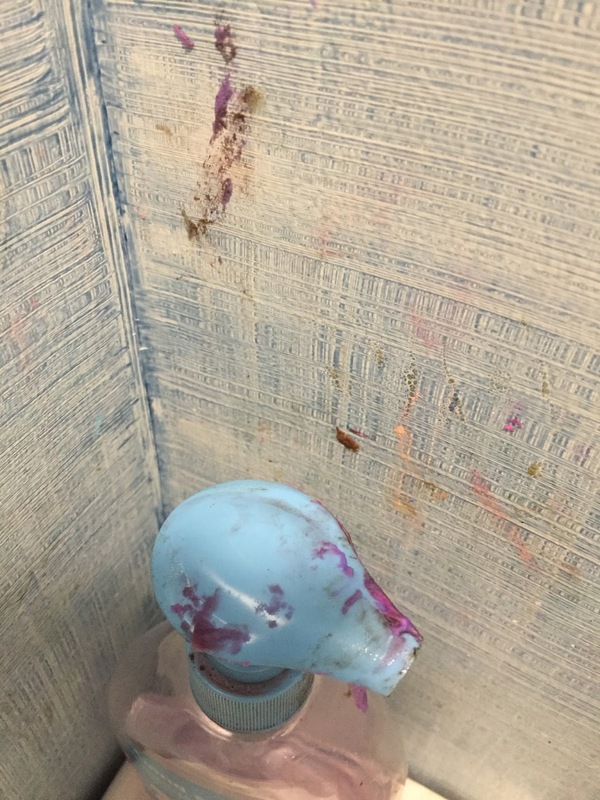 Both kids dutifully washed their hands in the bathroom sink, which was left grungy with thick purple frosting and chocolate smears that then dried out. Yes, we are in survival mode most of the work week. Yes, we both have busy careers, and school just started, and our pets are demanding, and no one has a reasonable sleep schedule. But still. Honestly. This is revolting. Is there anyone else out there who could have this palpable food residue all over their frequently used bathroom and not only not clean it, but also not even notice it for four whole days? And, to top it off, when I saw this on Thursday, really saw it, I was literally rushing to pee before I had to run out the door to get in the car to pick up my kids from school. It was my day off from clinic, the mess finally registered with me, but I didn't even have time for a rudimentary scrub-down.